Cylindrica snake plant (Sansevieria cylindrica): growing, planting, caring. The Spear Sansevieria - or snake plant - has striped, elongate, smooth, greenish-gray subcylindrical leaves, up to 3 cm (1 in) diameter, growing up to 1 or 2 m (7 ft) above soil. It grows fan-shaped, with its stiff leaves growing from a basal rosette. 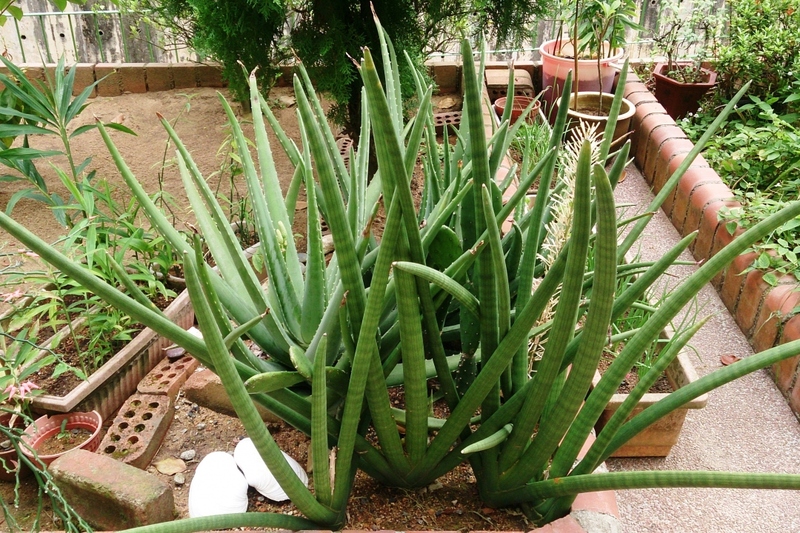 It is a drought-tolerant species of succulent, requiring water only about once every other week during the growing season, popular as an ornamental plant as it is easy to culture and take care of in a home if given bright sunlight and other required resources. The sansevière is a perennial with rhizomes and thick leaves, it is persistent, in clumps, variegated, marbled or not. There are dwarf and giant species, between 15 and 180 cm, which bloom after several years in fragrant clusters. African plant, your sansevieria must be planted in pot, and kept inside. Plant it in a pot or a planter, in a mix composed mainly of compost / potting soil and in a minority of sand that you will spread at the bottom. Place it in non-burning light. The sanseveria does not like humidity, so water once a week in season, and once a month in winter, without wetting foliage. In dry weather, do not hesitate to clean the dust on the leaves. When a leaf turns yellow, which is normal in the life cycle, cut it at the base with a sharp and clean tool. Every 3 or 4 years, at the end of winter, transplant your plant carefully to a slightly larger pot than it's current, adding a mixture of sand, fibrous compost and clay balls at the bottom. Throughout the year, you can pick up the new shoots that grow on the edge of the plant with a clean knife, also taking the roots. Replant and grow in pots as an adult subject. Your sansevieria will be delighted to take its summer quarters outdoors as soon as temperatures are mild. Gradually acclimate it to full sun. Sanseveria does not tolerate a temperature below 7 ° C, so get it in before the first frost.